What’s in a book series that the young adult reader is so fascinated these days? It could be the genre, author or simply the plot that sustains this growing interest. To keep up with this craving, the librarians are trying their best to complete or update the series by acquiring them once they are published. 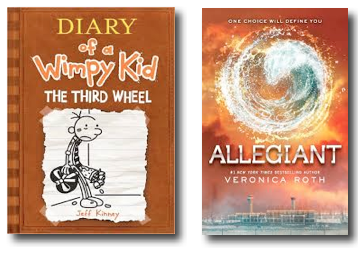 The more popular titles suited for boys are already in the High School Learning Resources Center collection. Some are already complete like Artemis Foul, Assassin’s Creed, The Bartimaeus Trilogy, The Chronicles of Vladimir Tod, Eragon, Golden and Grey, Harry Potter, Hunger Games, Kane Chronicles, Pellinor, Percy Jackson and the Olympians,The Secrets of the Immortal Nicholas Flamel, Twilight,Wicked, etc. Caster Chronicles series otherwise known as Beautiful Creatures is an American young adult novel written by Kami Garcia and Margaret Stohl. 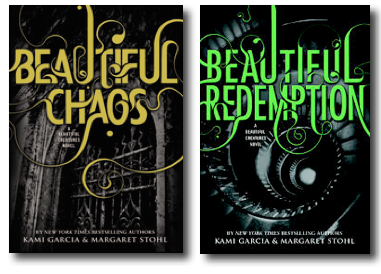 The first two (2) books, Beautiful Creatures and Beautiful Darkness have been in the LRC for quite some time while Beautiful Chaos and Beautiful Redemption just got added this year. Diary of a Wimpy Kid is a realistic story about middle school life of a boy named Greg Heffley. All six (6) books are in the LRC with the latest addition of Book 7, The Third Wheel where a Valentine’s Day dance at Greg’s middle school has turned his world upside down. Divergent Series – is a science fiction trilogy about young adult by Veronica Roth. The first two (2) books Divergent and Insurgent have been well read thus, the third book Allegiant was recently added to respond to the wishes of the readers. Gone Series is a young-adult dystopian science fiction book series written by Michael Grant. The first novel in the series, also entitled “Gone”, was originally published in 2008. The second book, “Hunger”, was released a year later, followed by the third book, “Lies”, on May 4, 2010. Book four, released on April 5, 2011, is titled “Plague”. 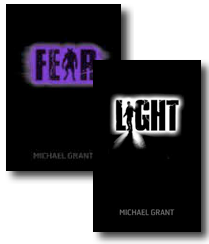 The books 5 and 6 are entitled “Fear” and “Light,” were published in 2012 and 2013 respectively and are already in the HS LRC ready for circulation. The Halo Series by Alexandra Adornetto is a trilogy about angels sent to earth on a mission. The second book Hades was first acquired and to complete the series, the first book Halo and the third book Heaven were recently added to the collection. In this five-book series, expect to see old friends from the Percy Jackson books along with a great new cast of main characters, as the heroes of Camp Half-Blood embark on their most dangerous challenge yet. This series includes The Lost Hero,The Son of Neptune, The Mark of Athena, and the latest, House of Hades. The fifth book The Blood of Olympus will be released on October 2014. The series follow the story of nine human-looking aliens brought to Earth when they were six years old. Their purpose is to grow into their powers and return to their planet, Lorien, and get it back from the evil Mogadorians.To update the series, “The Fall of Five” (Book 4) and the spin off “I am number 4 : the lost files secret histories were recently added to the collection. 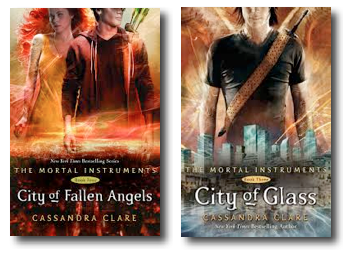 The Infernal Devices is the prequel series to The Mortal Instruments by Cassandra Clare. It was the second published of The Shadowhunter Chronicles, but the first chronologically. The series takes place in Victorian England, in a time before the peace treaties between the Shadowhunters and Downworlders existed. The series includes Clockwork Angel, Clockwork Prince while Clockwork Princess just made it to the HS LRC this year. 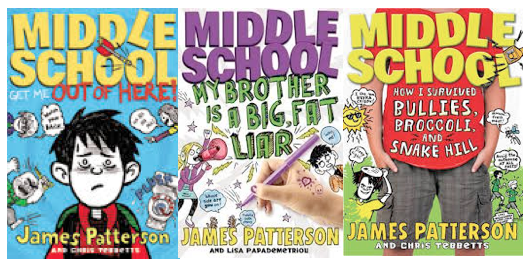 Middle School Series is another realistic fiction by James Patterson about surviving middle school. The first title The worst years of my life had been in the LRC, while the latest titles Get me out of here, My brother is a big fat liar, How I survived bullies,broccoli and Snake Hill were recently acquired. 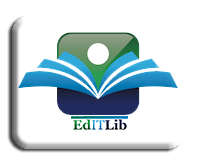 Septimus Heap is a series of fantasy novels featuring a protagonist of the same name written by Angie Sage. The titles of books in the series are Magyk, Dark Toad, Flyte, Physik, Quest, Syren, Darke and the latest is Fyre. These newly added titles will surely entice the readers to read more. They want to know what will happen next to affirm whatever predictions they might have made in the process of reading the prequel. Others are simply curious on how the story would end.